Supported by a local Friends chapter and established as a memorial to U.S. veterans, this park features a museum with aircraft (including a Boeing B-29A), armored vehicles, uniforms, weapons, medals and other items from the Revolutionary War through the Gulf War. An 18-hole golf course and pro shop, along with 8,700-acre Lake Blackshear and proximity to I-75, make this one of Georgia’s most popular state parks. A sandy swimming beach is the perfect place to cool off during Georgia summers. The Lake Blackshear Resort and Golf Club is a privately operated conference center with 78 lodge rooms, 10 cottages and restaurants. The SAM Shortline Excursion Train runs through the park on its way from Cordele to Plains, allowing riders to see an antique telephone museum, Habitat for Humanity’s Global Village, President Jimmy Carter’s boyhood farm and other attractions along the journey. 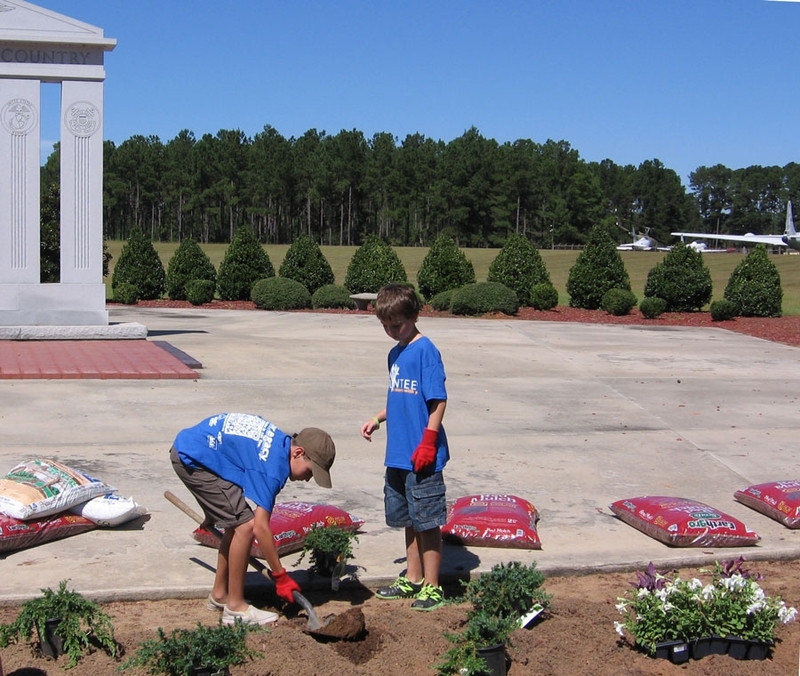 Terrific attendance and meaningful service projects at Georgia Veterans Memorial State Park this year for Your State Parks Day! Over 600 people in nearly 300 cars enjoyed a day of free admission. The park staff and the Friends of Georgia Vets organized three activities that helped make the day special. For a full listing of events and information about Georgia Veterans State Park Historic Park visit the Georgia State Parks page.